It is recommended that young children should be subjected to quality, healthy learning as well as the child care setting. There are very many reasons why this should be the case .Quality and healthy learning develops good habits among children. This is because it has the ability to get children in good routine practice such as brushing teeth and washing hands (Aadland & Johannessen, 2015). Quality and healthy learning in child care enable children to develop emotional resilience. Quality early childhood education always allow children to get that opportunity of developing social work skills as they interact with their educators as well as their friends at school. This assists the children to learn how they can move along with others by sharing and taking turns, listening to each other as well as communicating their ideas and they later become independent. They also develop emotional resilience by being attentive. Quality early childhood education enables children to develop a successful future. According to a study of 30 years in Australia, it was established that quality childhood education between 0-5 years leads to employment and success at the University level. This is due to the important skills learnt at childhood such as social, emotional as well as the academic success. Quality early childhood education has the ability to impart different literacy and numeracy skills (Batu, 2014). The foundation of education lies in literacy as well as numeracy skills. This skills are more than just writing and counting. The skills are usually acquired through singing as well as playing music and drawing on papers. All this are taught during early childhood. Lifelong desire for learning is another importance of quality early childhood education. Studies in Australia among the children has established that quality early childhood education not only provides safety to children but also inspires a lifelong love for learning. The results found out that quality early childhood education imparts independency as well as a positive attitude of children to learning (Emilson, 2018). This skills have the ability to enhance the desire of children settling in schools and to drive academic success. Due to the numerous advantages or benefits associated with quality early childhood education, parents are therefore advised to send their children as early possible to different childhood education centers. During my visit to the ELM, there are different elements of quality as per the national statement. In Australia, it is the National Quality Standard that is responsible for setting high national benchmark for early childhood education as well as the care outside schools (Wong & Logan, 2015). There are seven quality aspects in total though only five will be analyzed in this assignment. Educational program and practice is the first element of quality. The objective of this element is to ensure that education program for the children as well as the practice is quite engaging and stimulating to the children. The program should also focus on the children’s learning as well as development (Hirsh, 2016). The program should have the ability to nurture the development of life skills in children and then complement their experiences, opportunities and the relationships when the children at school, at home and finally in the community. While I was at the ELM, I realized that this element was supporting both the children, the families and the community at large. The first element of educational program and practice supports children since it is child centered. 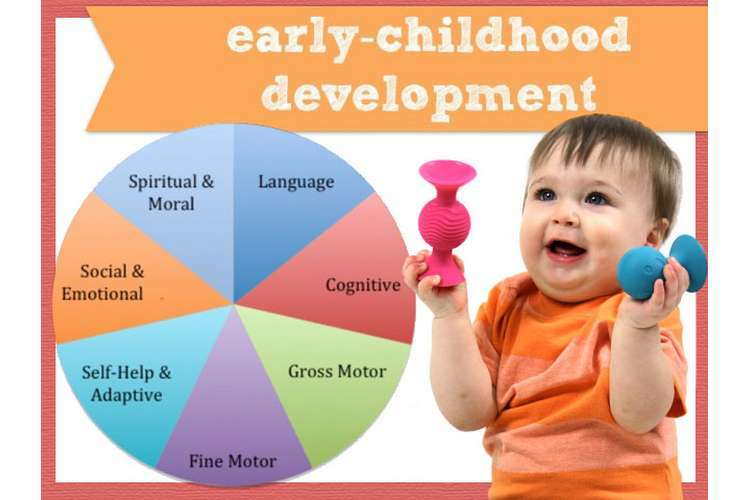 The program is usually designed in a way that the current knowledge, strengths, ideas, culture as well as abilities and the interests of children are the basis of the program (Moore, Edwards, Cutter-Mackenzie, & Boyd, 2014) .This is just to mean that the overall aim of the element is to ensure maximum benefit to the child. While at the ELM, I also realized that the element supports families since the family members are also informed about the program as well as the progress of the child. The element also supports the community at large since this element focus on child directed learning where the agency of each child is promoted and this enables them to make decisions that positively influence the community. Children’s health and safety is another aspect of the elements of quality I came across while at the ELM. Under this element, the children should be provided with a safe and healthy environment both at the schools and at home. While at the ELM, I realized that this aspect was in place due to the healthy eating that the children were subjected to (Pratt, n.d.,). Besides, their parents were also educated on how to feed their children on balanced diet. A balanced diet for children possibly means a balanced diet to the parents and the community at large and this prevents some infections. This therefore means that the element of quality is beneficial to both the children, families and communities. The third aspect of elements of quality is the physical development environment. It is recommended that the facilities or rather the environment is designed in a way that it is safe and healthy. While at the ELM, I realized that the structures were easily accessible to the children and the playing grounds were also free from any hazard or risk factors (Rentzou, 2017). There was hygiene in the washrooms both at home and at schools. The practice of hygiene is beneficial or important to both the children, the families and the communities at large since there will be a minimal transmission of communicable diseases such as cholera. A healthy population generally means an improved economic status of the country since majority will be involved in economic activities. Relationships with children is another important aspect under the elements of quality. The core objective of this quality is to impart responsive and respectful relationships among children. This kind of relationships have the ability to free up children so that they can freely explore the environment and engage in activities like playing (Simonstein, 2016). While I was at the ELM, I realized that children were allowed to freely express their opinions and were full of respect. Such kind of behaviors are beneficial to the community and families since wherever respect prevails, chances of conflicts are very minimal. Governance and leadership is the last aspect under the 5 elements of quality. This is an element that focus on effective leadership as well as management. During my time at the ELM, I realized that the children were taught how to document different policies and procedures, maintaining good records, shared values and reflective practices (Sandseter, Ärlemalm-Hagsér, Allin, & Prince, 2012). The aim of this initiative is to equip children with good leadership skills. Good leadership is beneficial to both the families and communities since there will effective use of resources as well as effective conflict resolution. As an early childhood tutor, I have gained valuable knowledge through the ELM.I have been able to learn what the 5 elements mean to me as an early childhood educator. I should always ensure that I adhere to the five elements of quality as stipulated by the national standards of quality .I should ensure that I provide a safe environment to the children, foster governance and leadership as well as encouraging collaboration amongst the children. The bottom line is that I should always ensure that the children are accorded quality education that will assist them as well as their families and the community at large.